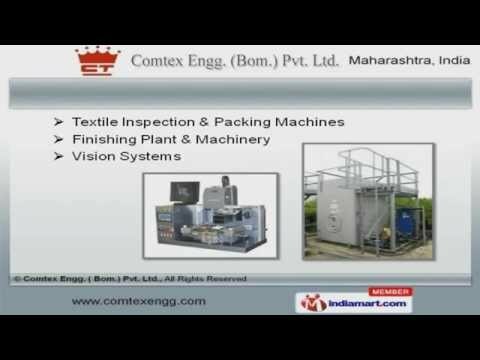 Welcome to Comtex Engg Bom Private Limited, Supplier and Trader of Lafer Fabric Surface Finishing Machines. The company was incorporated in 1977 at Mumbai. Our Products are in compliance with industry standards. Raymonds, Bombay Rayon and LNJ Group are some of our esteemed clients and we are backed by after sales support and large production capacity. Textile, Fibre Processing Machinery and Surface Finishing Machines are some of our products and services. Bushing Winding and Lab Coating Machines are available at industry leading prices. We are known in the industry as the manufacturer of Vision Systems, Textile Inspection and Packing Machines. Our Ring Spinning, Finishing and Roving Tubes are in huge demand across the global markets. Industrial Dryer for Textile Industry are available at industry leading prices. We are highly instrumental in presenting a wide spectrum of Tensionless Slitting for Textile and Bushing Winding Machines for Electrical Industry.